Kimi Raikkonen says he is feeling fine for the German Grand Prix this weekend and that he is not nursing any problems following his heavy crash last time out at Silverstone. Raikkonen collided with the wall on the Wellington Straight on the opening lap and as a result he sat out the post-British Grand Prix test. The impact was measured at 47 G.
Speaking on Thursday ahead of practice at Hockenheim tomorrow, he told reporters he was now feeling 100 per cent. Asked if he remembers having any bigger shunts than that which he suffered earlier this month at the British GP, he added: “I probably have had [bigger crashes] – and hopefully not too many more. It is just part of the thing. It hurt a little bit. “But quite often it can be a very slow accident and you get badly hurt. It was just an unfortunate thing. Nothing serious happened. Raikkonen and Ferrari have had a tough season so date, but despite that, he remains optimistic the men at Maranello will get it right. “Obviously it has been a difficult year. Hopefully it will turn around at some point – it must and it cannot go much longer like this. It is not fun. But these kinds of things have happened to me before and we always managed to turn it around. I really have a strong belief that we will turn it around,” he continued. Raikonen has come under criticism for his own performances – he has scored only 19 points, compared to the 87 of his team-mate, Fernando Alonso. 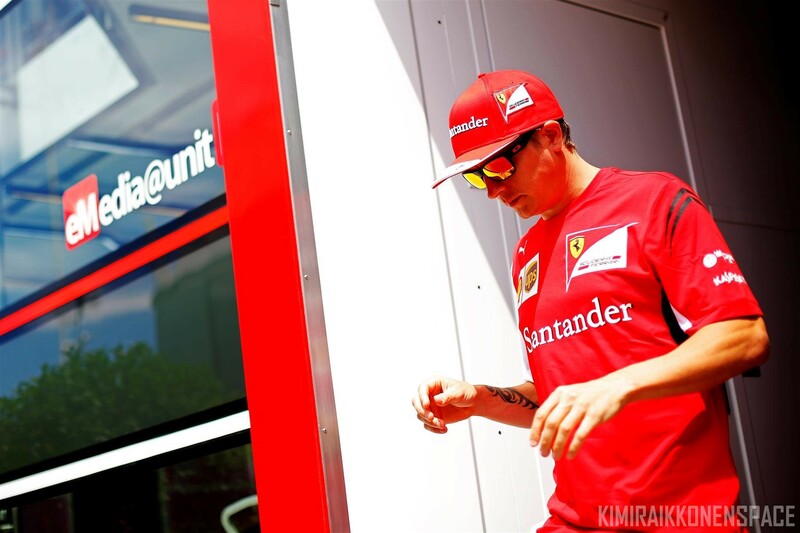 However he doesn’t feel under pressure or that he will be dropped and reiterated his belief that Ferrari can improve. “Like I said, I am sure we can fix them [the problems]. How fast? I hope quickly but it depends on many things. [As for me] I have a contract and I am not worried on that for the future,” he insisted. Kimi wants the car adapted to his driving style? Not going to happen, not this year at any rate. Don’t expect podiums either this year.